HARLEM — A middle school soccer team from Harlem has a lot to celebrate after returning home from a European tournament. Hip-hop legend Doug E. Fresh (born Douglas Davis) is suing his Harlem neighbor over a stalled construction project near his home. 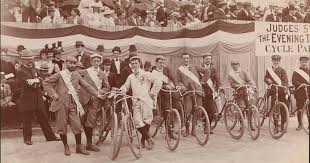 Discover New York’s rich bicycling heritage.